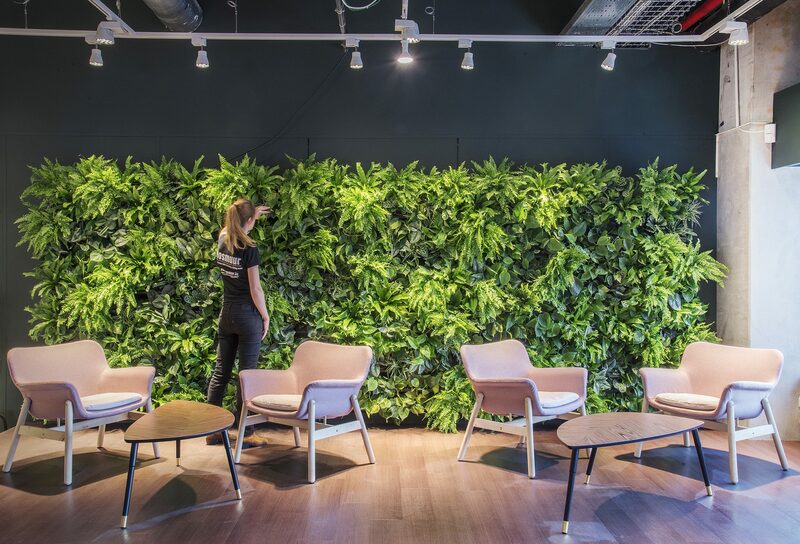 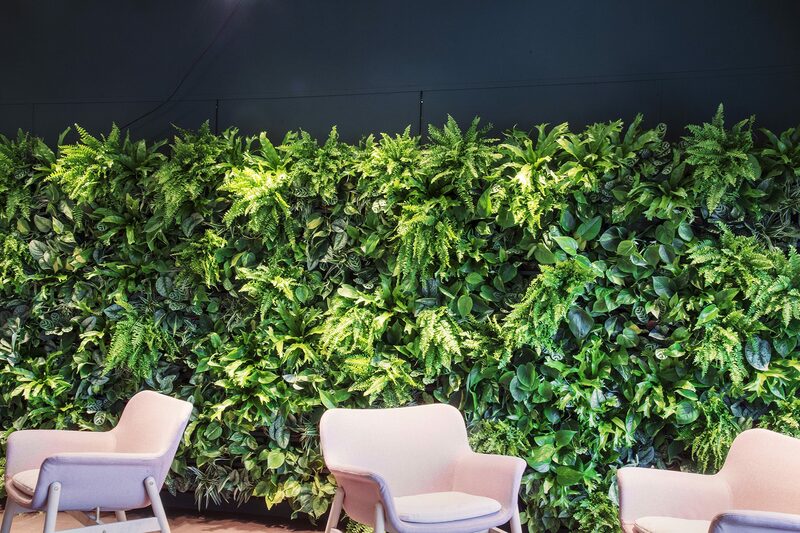 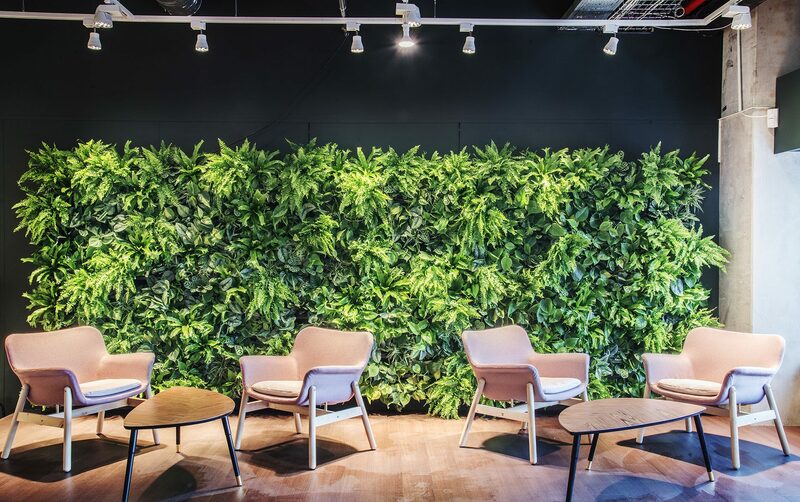 A new larger living wall, this time 5m x 2m installed in the newly created meeting spaces at Ikea Zaventem, the main branch of Ikea in Belgium. 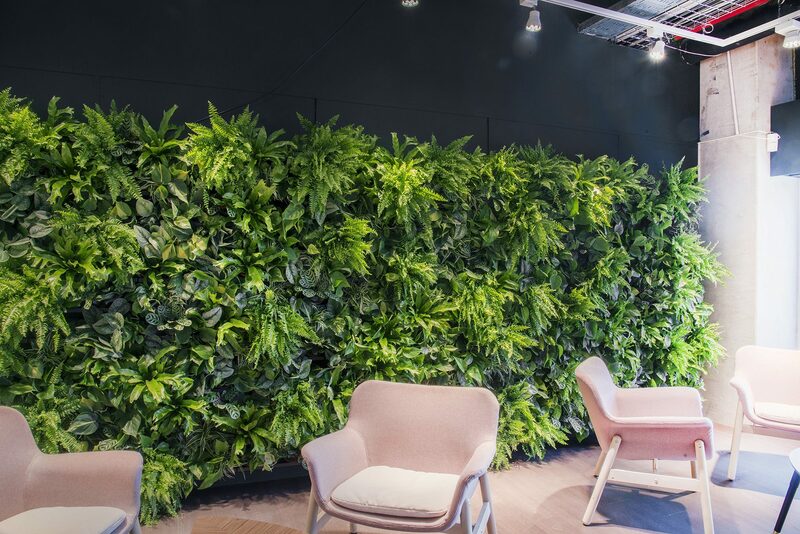 For the second time at Ikea Zaventem, Mosmuur installed a self-sufficient vertical green wall. This time with nearly 500 plants !! 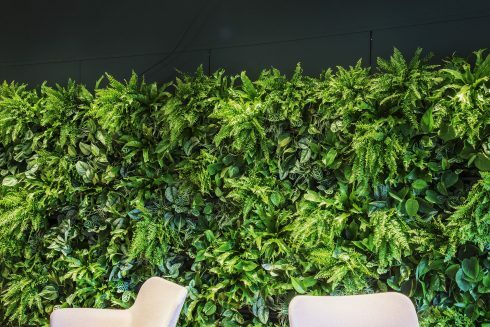 The plants are supplied with water by means of overflow bins and collecting trays. 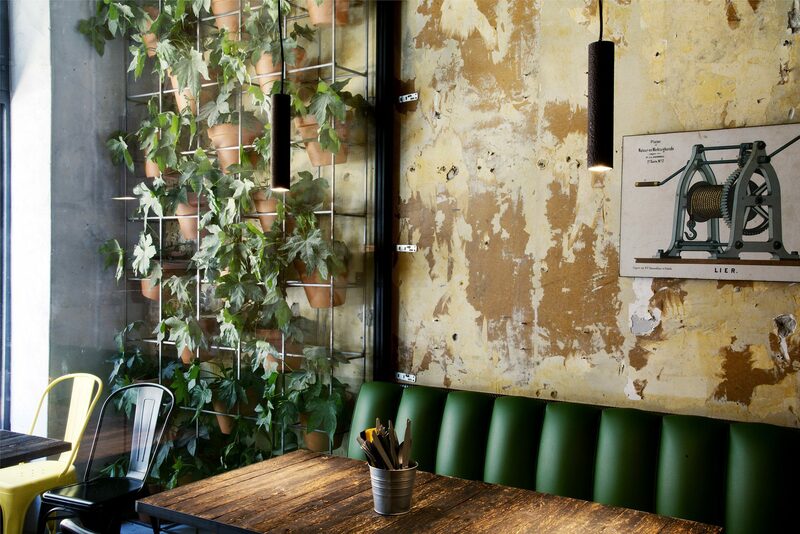 The ‘Växer’ lamps from the Ikea range provide extra stimulation for the plants.